In stops and starts, winter is loosening its grip on our region. In a recent 24 hour period, the temperature in Nome skyrocketed: from 38 below (-38° F) to 35 above. Despite recent challenges, our spirits are high, too – and as always, it's all thanks to you. We're so excited to report that, through your generosity, plans for KNOM's studio expansion project continue to move forward. As you may have read in previous issues of the Static, we're hoping to renovate and enlarge our facilities, converting our broadcast hardware from analog to digital. The project will make our studios easier and more cost-efficient to maintain and repair, and ultimately, we believe it will help to solidify our mission's future over the coming decades. Thanks to generous donors, we've already raised nearly $300,000: about half of what we'll need for the construction. Meanwhile, we're also focused on immediate repairs for our backup electrical generators; as you'll read below, we're enlisting special help to ensure that KNOM keeps broadcasting, even amid power outages and emergencies. 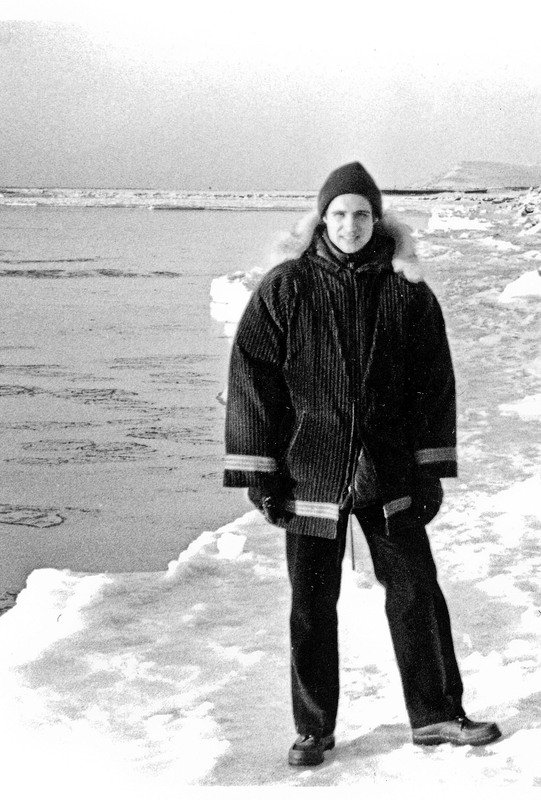 Through it all, our dedication to service in Western Alaska is high. As you'll read below, one of our long-term goals for KNOM's future has recently borne fruit: our station is now an independent entity, guided by a talented, enthusiastic board of directors. Our mission remains the same. Below, you'll find more of the incredible work of current and past generations of KNOM volunteers and staff. As always, you are making it possible. From all of us at KNOM and in Western Alaska, thank you. 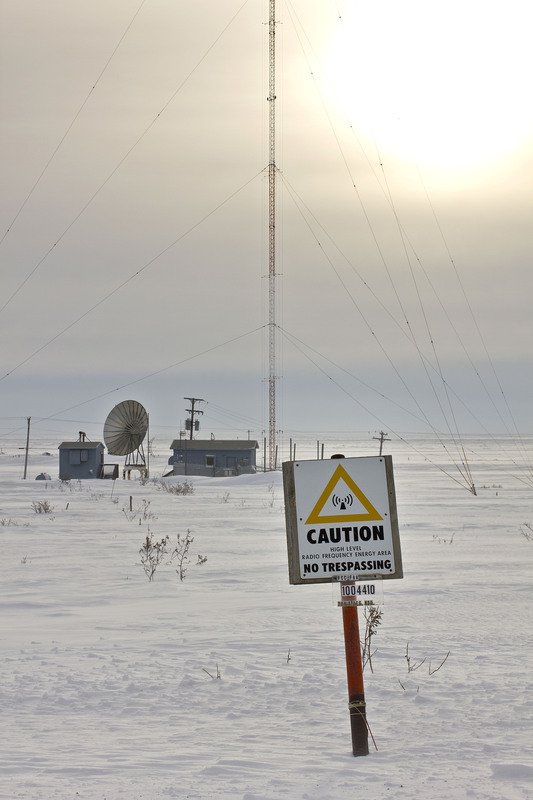 Power failures are often a fact of life in rural Alaska; with our region's extreme isolation and often frigid temperatures, it's perhaps no surprise that we experience at least a handful of blackouts each year. Until recently, we've benefited from very reliable backup generators, which kept KNOM's studios and its AM and FM transmitters working perfectly, even through sustained periods without local electricity. But last month, we were surprised when, in the wake of a Nome blackout, our generators failed to activate and began to show signs of trouble. That's when we sought the help of friends old and new: longtime volunteer engineer Les Brown and Nome handyman Rolland Trowbridge. 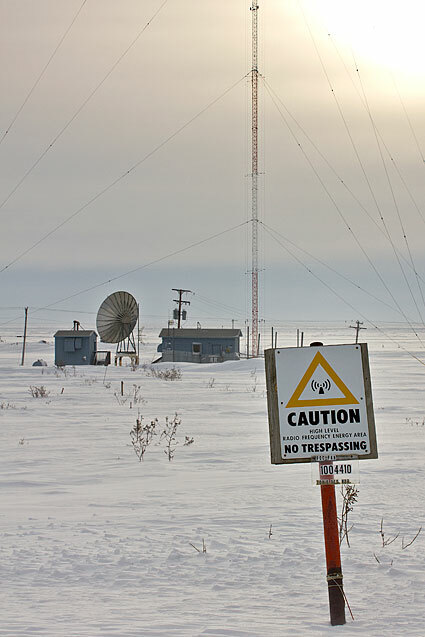 As we go to press, Les and Rolland are working to diagnose and fix our mechanical issues, especially at our AM transmitter site (pictured above). The repairs are urgently needed: without a generator, KNOM is currently unable to broadcast in the event of a power failure (which often accompanies a local emergency). At the same time, however, we're continuing to pursue the exciting possibility of a new type of power management for our AM transmitter. Called dynamic carrier control, the system would use electricity at our transmitter more efficiently, making our dollars – and yours – go further. Hard times are the grit that heaven uses to polish its jewels. As you may know, KNOM Radio is in a moment of transition. After more than forty years of being owned by the Catholic Diocese of Fairbanks, our mission is in the process of becoming independent. 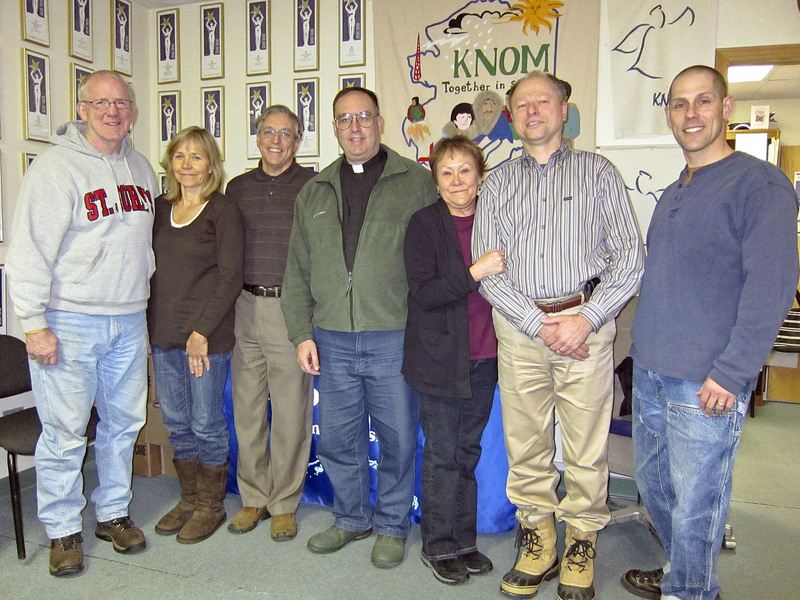 Alaska Radio Mission – KNOM is becoming KNOM Radio Mission, a distinct nonprofit entity with a new board of directors. This new leadership structure was prompted, in part, by the 2008 reorganization of the Fairbanks Diocese. Although KNOM has not received financial assistance from the diocese for two decades – we've been supported entirely through the generosity of donors like you – it was decided that KNOM's future would be best served by separating from the diocese. The move received the full blessing and support of Bishop Donald Kettler, head of the Fairbanks Diocese. Rest assured that this switch will not change one iota of our programming, of the mission underlying it, or of the Catholic heritage at the core of what we do. All of KNOM's current volunteers and staff will stay in their positions. Metaphorically speaking, KNOM Radio has grown up and is moving out of our parents' home, but we remain a family. The mission stays the same. We will continue to be a source of information, inspiration, companionship, and entertainment for bush Alaska, and we plan to do so with a newly-energized management. 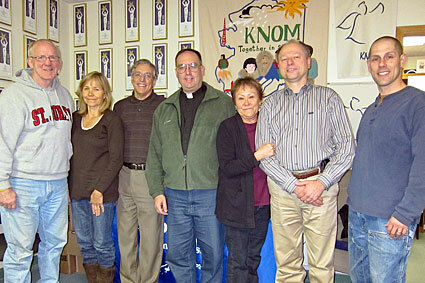 Meet the new KNOM Radio Mission Board of Directors, pictured above (left to right): Nome community leader and officiant at St. Joseph's Catholic Church, Deacon Robert Froehle; former KNOM volunteer Annie Blandford; Dennis Bookey, general manager of Morris Communications in Anchorage, Alaska; board president and St. Joseph's pastor Father Ross Tozzi; former KNOM business manager Florence Busch; Kevin Fimon, accountant and owner of Fimon Financial; and former KNOM news director Paul Korchin. In the coming months, we'll introduce these board members to you in greater detail. Show your love of Christ to someone today, and Christ will show His love for you forever. 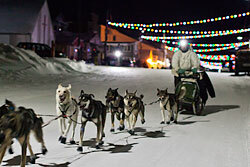 In late winter, Western Alaska is abuzz with excitement for our region's sled-dog and snowmobile races. From its earliest days, KNOM has taken a leadership role in covering these unique sporting events, which not only keep alive the cultural traditions of Alaska but, also, give our listeners a special reason to unite and to take pride in their communities. 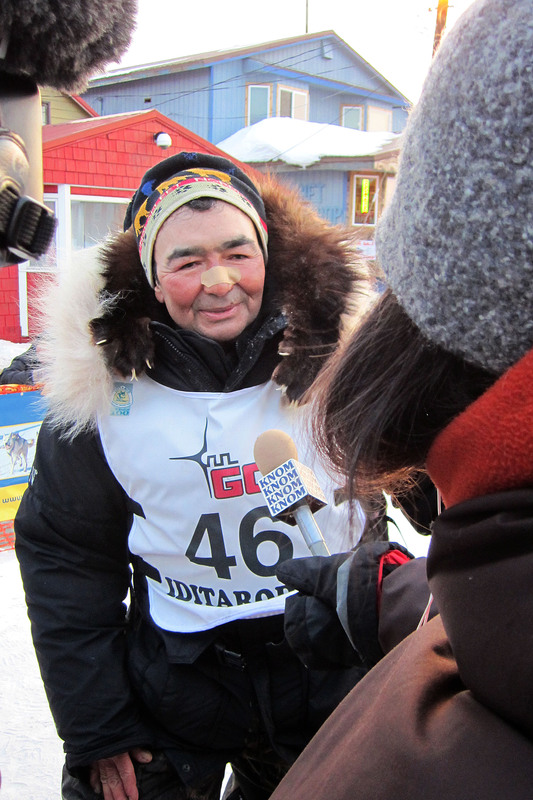 Last month, we were honored to report on a sled-dog race with special significance for our region: the inaugural running of the Paul Johnson Memorial Norton Sound 450, a race to Nome starting in the bush Alaska village of Unalakleet (YOU-nuh-luh-kleet), where KNOM listenership is high. 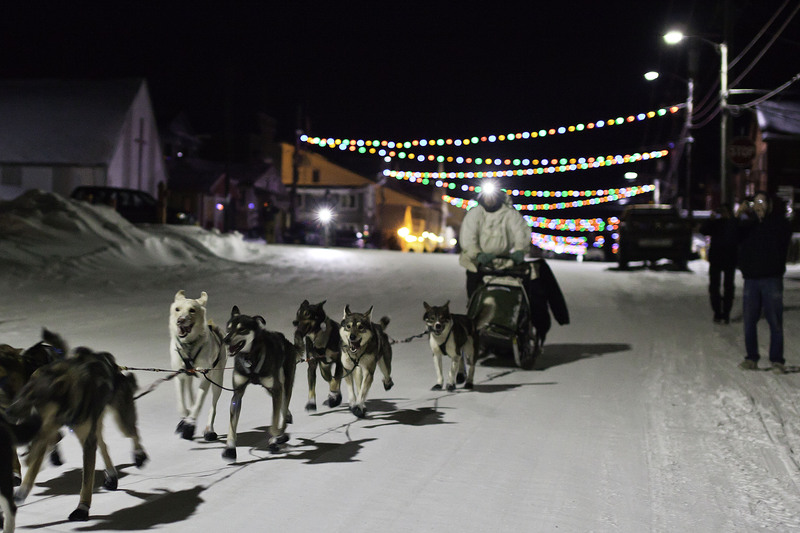 The race is named in honor of a veteran sled-dog musher and a revered member of the Unalakleet community: Paul Johnson, who went by the nickname "Putty." One day, I asked Putty where I could get the gear to take my five-dog team on the trail. I imagined him giving me the phone number for a sled maker or a mushing co-op, but as I've come to learn, that's not Putty's style. He sent me one of his own sleds, complete with a tug line he made and his old snow hook: all the gear I needed to hit the trails. Countless people in the region have stories like this of Paul. He lived his life helping others in simple ways with a truly humble spirit. All those who were touched by his goodness miss him. 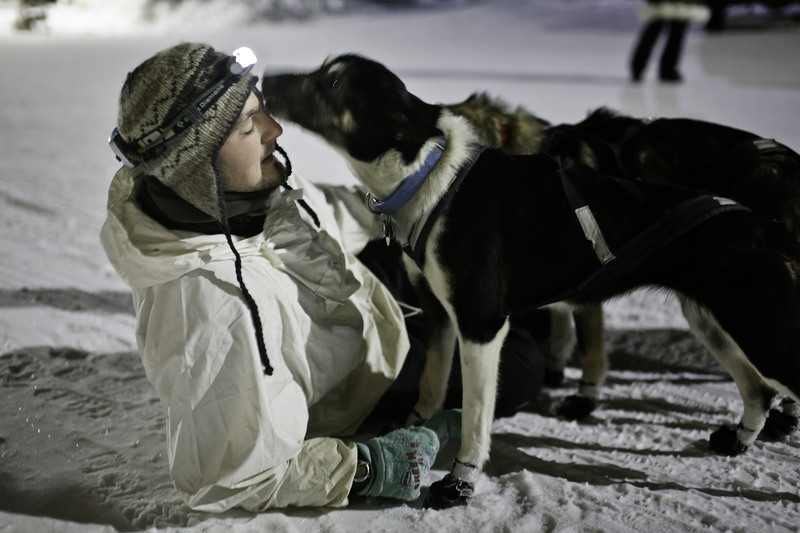 And today, the Paul Johnson 450 Sled Dog Race helps to keep his spirit and the sport of dog mushing alive. Thanks to you, we brought this special race into the homes of KNOM's listeners. By the time you read this, we're doing the same for Iditarod 2012! 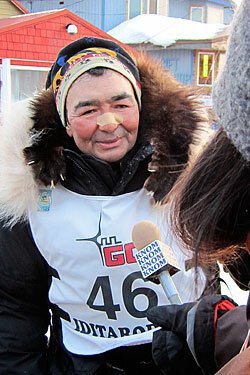 Photos (top to bottom): Paul Johnson is interviewed by Laureli Kinneen at the finish line of Iditarod 2011; this year's Norton Sound 450 champion, Pete Kaiser, crosses the Nome finish line on an early Sunday morning; Pete Kaiser's lead dog congratulates the exhausted musher with a friendly lick; Laureli interviews NS450 musher John Schandelmier. 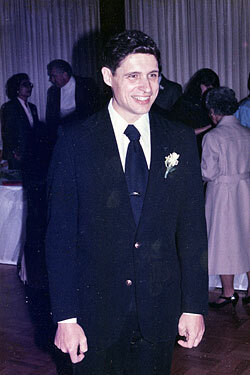 Brother Normand Berger, F.I.C. radiated a devotion to the religious life, even though his work at KNOM was atypical of the teaching order to which he belonged. He was KNOM's engineer from 1975 to 1984. Brother Norm brought great dedication to a very young radio station. He wrote home often about his latest challenges at KNOM: whether to keep the transmitter running, to arrange remote broadcasts, to facilitate the station's unique programming, or to maintain its studio equipment. After much research, he brought to KNOM its first piece of digital equipment: a computer, intended to help with programming logs and word processing. 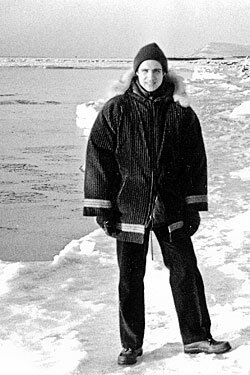 He even wrote a computer program to unscramble raw data on the mushers of the Iditarod Trail Sled-Dog Race; the program was used by KNOM announcers well into the next decade. As much as Brother Norm enjoyed radio, he found the most joy in service to others. He played guitar and mandolin at daily and Sunday Mass. While most folks would spend New Year's Eve celebrating, Norm spent the night on his knees in prayer for our world. His gentle, patient spirit helped dozens of inexperienced deejays learn to operate KNOM's equipment. 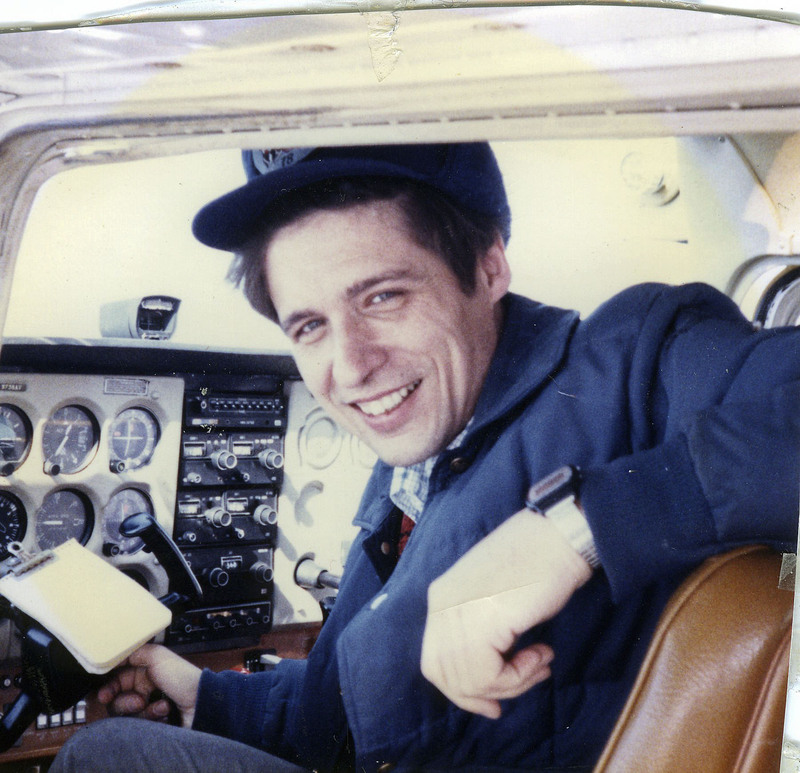 Brother Norm left KNOM to serve Avions Sans Frontieres at a mission in Zaire. In the African jungle, he worked as a bush pilot and radio engineer. Norm loved the vibrant religious community of his Brothers of Christian Instruction Order in Dungu. 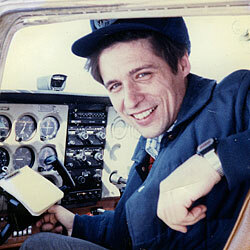 Sadly, we lost Brother Norm in a 1989 plane crash near the Rwandan border. 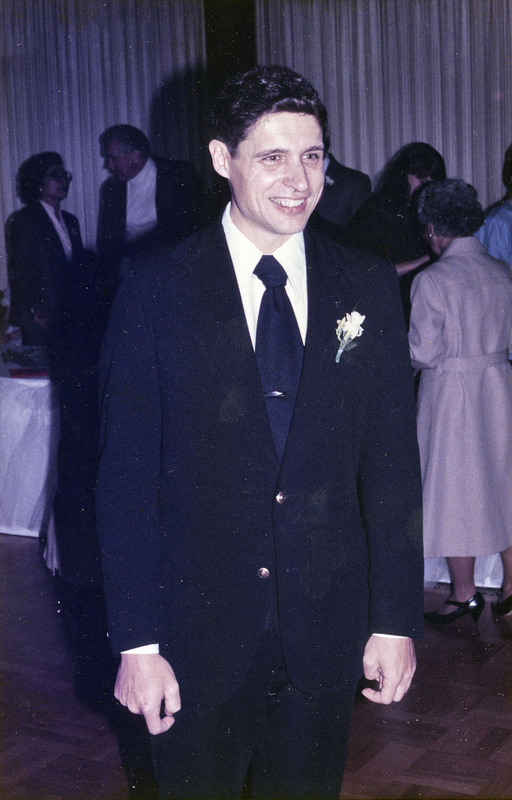 While Brother Norm's service was unlike most of his religious community of teachers, his quiet, good-natured dedication taught the most valuable lesson: the love of Christ. God can bring silence and peace into your life. All you have to do is listen!